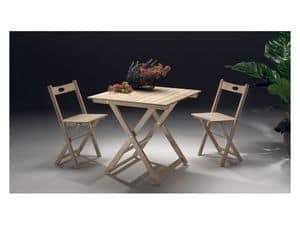 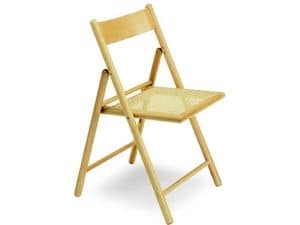 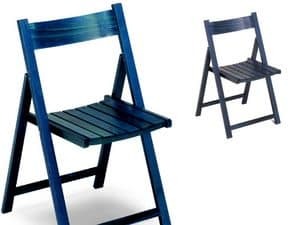 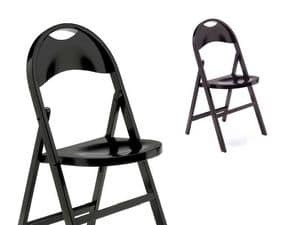 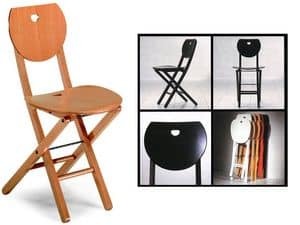 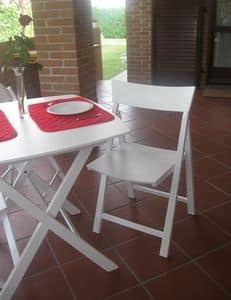 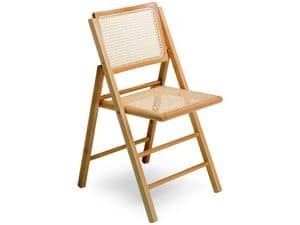 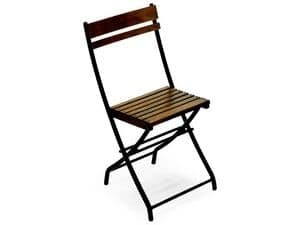 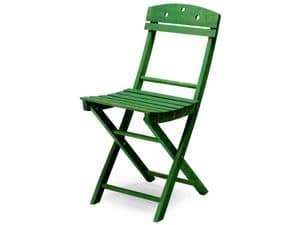 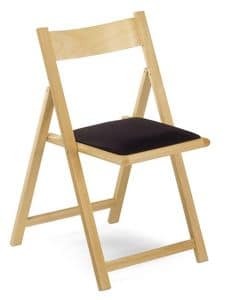 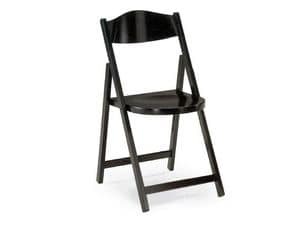 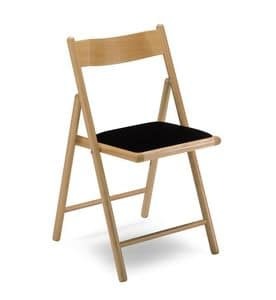 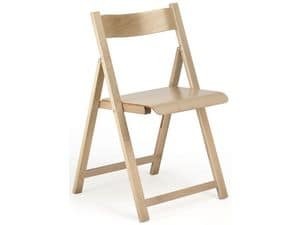 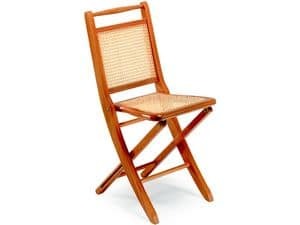 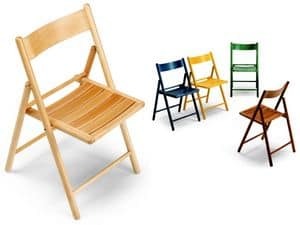 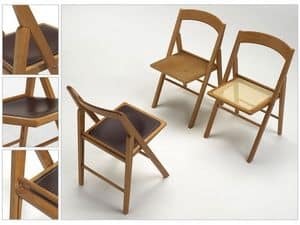 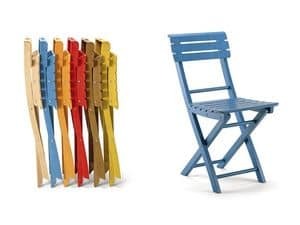 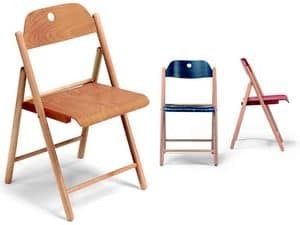 Folding chair in beech wood with seat in upholstered with cotton or faux leather. 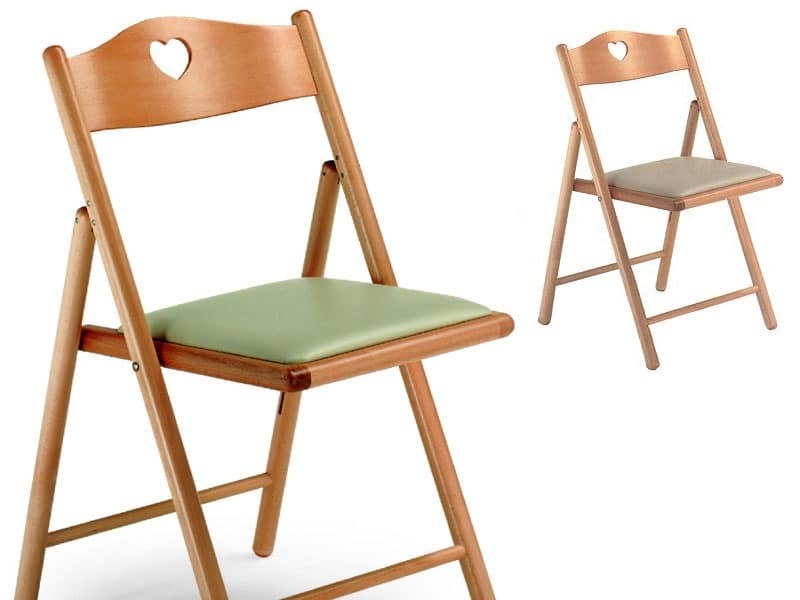 A chair easy to combine with diverse situations and atmospheres. 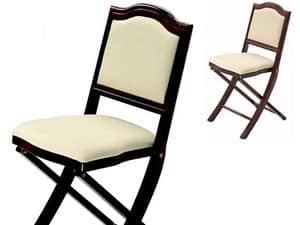 The graceful motif on the back makes it perfect for wedding banquets.